Today’s keynote at Google I/O was an overwhelming amount of product and feature announcements. Amongst the barrage of information was some updates to the Android Developer Console. This is the interface that developers use to deliver apps to devices. Google has made some key improvements which should translate to aiding developers with providing better experiences for users. Google is adding optimization tips for developers, in a way to guide them towards better app experiences. The two tips they are offering right now are related to tablet support and translations. Translations is a professional service which will, for a fee, take all the text from an app and translate it to the desired language for the developer. This streamlined service should enable more apps to provide localized strings as they’ve made the process easy for developers to take advantage of. 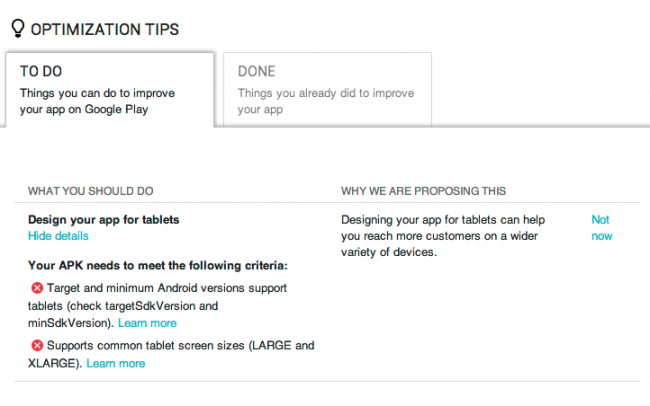 The tablet optimization tips are aimed to make the apps more compatible with Android big screen devices. They’ve also added a new way for developers to visualize their revenue stream, including in-app purchases. This should allow developers to understand how users are using their apps and tailor the experience. Additionally, Google has added a new method for developers to test out new features. 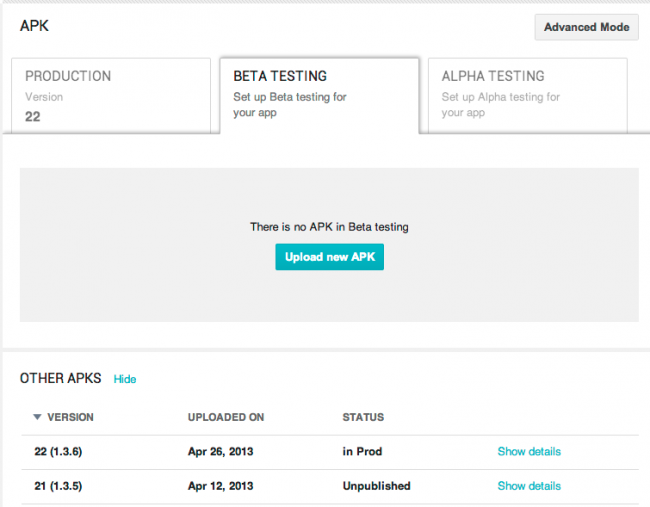 They’ve added the ability for developers to create a beta test utilizing G+ communities. Once they are ready to release an app to production, developers can now roll it out to a percentage of users and adjust that over time. This is some really cool stuff. 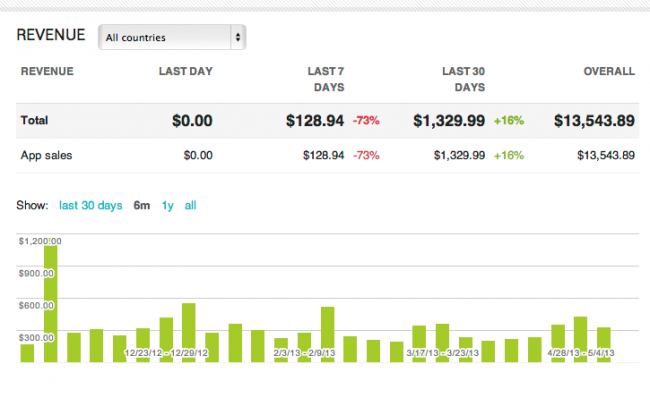 Another HUGE improvement is going to be the addition of Analytics. As it stands, developers have no idea about app usage unless they’ve included the Analytics API into their apps. And even if they have, it still requires them to leave the Developer Console and use Analytics Console. 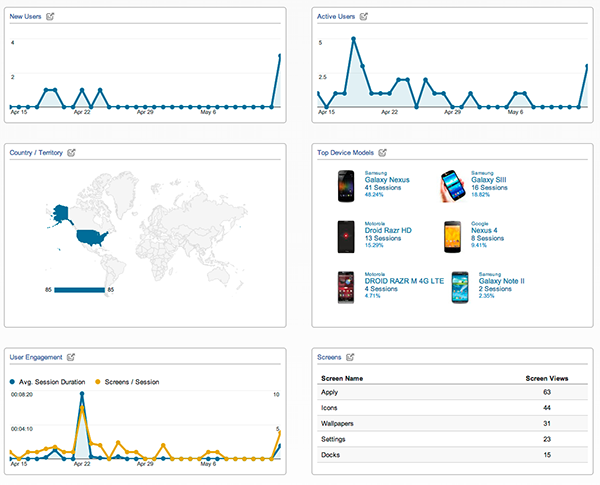 Google will now be including analytics for all developers, coming this summer, allowing them to see what devices are being used or even what countries are a large percentage of their users. This added knowledge should allow developers to improve upon their apps with new features and/or localization specific changes. All of these features and enhancements are developer facing, but as consumers we’re sure to see the benefits of developers having access to all of these new tools.